Thanks you for coming along to our new website and our new blog! 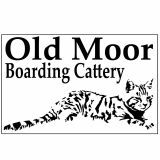 We are very excited to launch the new site which now works on your mobile devices and we hope that you will pop back to see what is going on at the Cattery by subscribing to the blog! Just click the envelope on the right of the green bar above and you will be the first to hear when we have written a new blog post. Thursday, 02 March 2017 Our new website and new Blog!